Adolescent girls between the ages of 10 to 19 worldwide face unique health challenges and unmet needs in areas such as nutrition, mental health, personal safety, and sexual & reproductive health. We train girls as youth health leaders (Champions) so they can help their peers navigate these health challenges and thrive during adolescence. 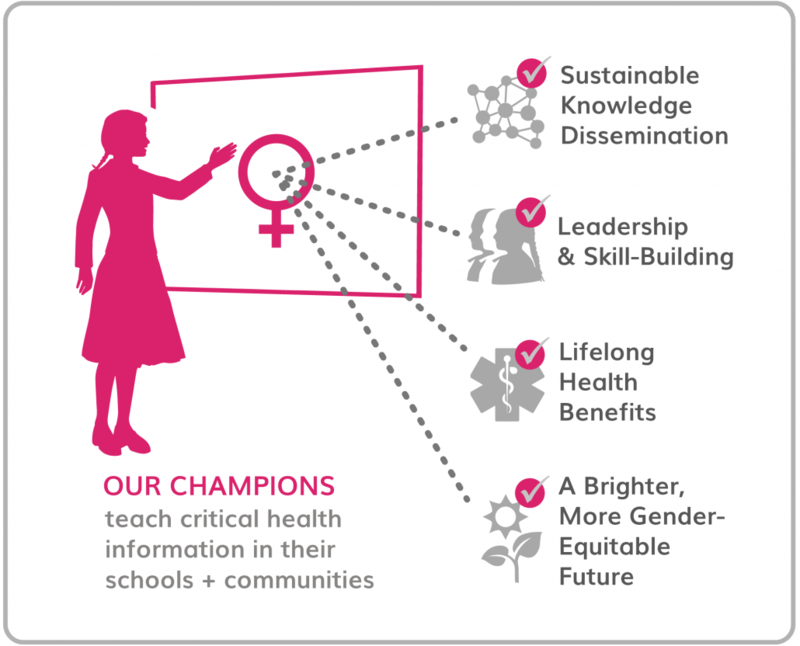 We believe adolescent girls have the talent and capabilities to take ownership of their own health and well-being. Our peer education model builds on the social dynamics of adolescence, as girls often turn to each other for sensitive health information and support. Our model provides girls with the knowledge, dialogue, support, and prevention strategies they need to navigate their health needs during adolescence and early adulthood.